false accusations; we know how to build a solid defense. Use the form below to contact our firm via email. We will respond within 1 business day. From his years of experience in solving problems for people just like you, Larry B. Douglas knows that the criminal justices system in this country grows more and more complex every day. Law enforcement officials have also become increasingly skilled in their ability to charge people with crimes. So, when a person is believed to have committed a crime, he or she should immediately consult a good lawyer BEFORE saying or doing anything. 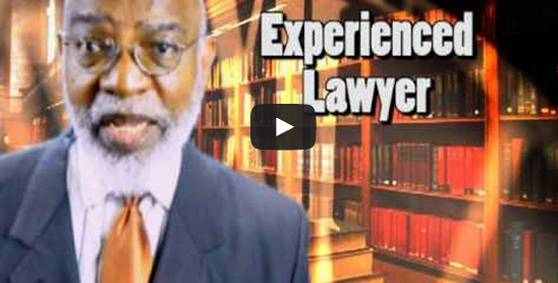 Larry B. Douglas Attorney at Law provides a wide variety of legal services. Contacting an attorney with years of experience is the right move to protect you and your loved ones. We have the knowledge and understanding of various complex legal issues and believe that our firm offers the one-to-one personal attention that our clients deserve. Working together, we guide our clients through the legal system to achieve the best possible results. Larry B. Douglas Attorney at Law is a Felony Attorney in Houston and Criminal Defense Lawyer, representing clients accused of all types of crimes. As a lawyer in Houston, he is currently accepting new clients and strongly recommends that everyone consult an attorney before speaking with the police about any crime - whether you believe yourself to be a suspect or not. This way you are not inadvertently accused of a crime. When considering which attorney in Houston to hire, it is important to work with an experienced criminal attorney. 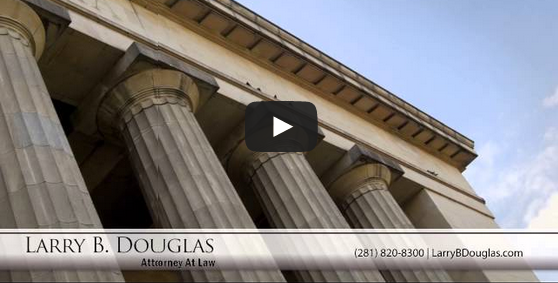 Mr. Douglas is knowledgeable about the inner workings of the Texas court system and as a Criminal Defense Attorney, he helps clients to get released on bail pending trial then goes to work building a strong defense. As a Houston lawyer, he is skilled at gathering evidence and interviewing witnesses in order to confirm his clients’ version of the story. The preparation work before the trial enables a defense attorney to present compelling evidence to a jury. Mr. Douglas is an attorney that doesn’t leave a single stone unturned when investigating a case. This diligence often leads to positive results for clients as a jury only needs to have a reasonable doubt to avoid a conviction. If you would prefer to negotiate with the prosecution for a plea bargain, Mr. Douglas is a lawyer skilled in pre-trial negotiations, as well. Whether you are looking for a homicide attorney in Houston, arson attorney in Houston, or a Houston attorney to help with more minor infractions, Larry B. Douglas Attorney at Law fights diligently to protect the rights and freedoms of his clients. For more information or to schedule a consultation, call (281) 820-8300. Available 24 hours a day by phone and weekends by appoinment. © 2019 Larry B. Douglas Attorney at Law. All Rights Reserved.